Be the first to favorite this story! Equestria was a land of love, once. Even with the growing paranoia of war, that love never really disappeared. To a changeling, it could be a dangerous place, but there were no better feeding grounds in the world. Two centuries later, a changeling wakes to find herself alone. The world she remembers is gone, scoured away under the fury of balefire. In its place is a barren wasteland, where ponies fight to cling to life; where love has been trampled underhoof in the name of survival. And this lone changeling must head out into that loveless land, seeking a hive that may no longer exist. 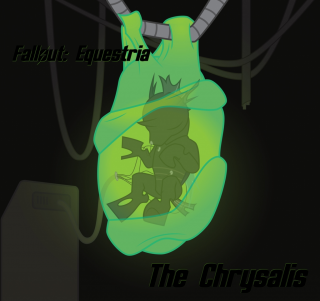 Set in the universe of Fallout: Equestria, by Kkat. No media found for this story yet.